DUG PINNICK [KING'S X] - EMOTIONAL ANIMAL (CD US-IMPORT) | Online Shop | Wizard LTD. Album: "EMOTIONAL ANIMAL (CD US-IMPORT)"
Signing to Atlantic in 1987, the trio became a favorite with the metal and progressive rock crowd; their music also contained elements of alternative in their hard rock, long before it became en vogue during the &apos;90s. which is a major ingredient to the magical King&apos;s X sound. 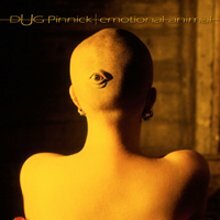 After six critically acclaimed releases, Pinnick released his first solo album, Massive Grooves from the Electric Church of Psychofunkadelic Grungelism Rock Music, in 1998 under the alias Poundhound. In 2000, Pinnick formed another side project (Supershine), which included ex-members of Sabbath-sludge-rockers Trouble (guitarist Bruce Franklin and drummer Jeff Olson) - issuing a self-titled release on Metal Blade the same year, while a second Poundhound album followed in 2001, titled Pineappleskunk. Along with his work with King&apos;s X, Poundhound, and Supershine, Pinnick has also guested on albums by other artists, including 24-7 Spyz 6, Dream Theater&apos;s Falling Into Infinity, and Carmine Appice&apos;s Guitar Zeus; has produced a pair of albums for Geek (which includes the two sons of King&apos;s X drummer Gaskill); and has appeared on tribute albums for Jimi Hendrix (In From the Storm), Van Halen (Little Guitars: A Tribute To), and Metallica (Metallic Assault: A Tribute To) and more. In 2007 Dug (new version of Doug) will be releasing a second record on Magna Carta records. This record will be a complete solo record; he has hand picked some of his favorite musicians to play on the CD, and all music was written from these soulful sounds of Dug. It will become an instant classic! A tour will soon follow with a stage show that will transform the sounds to the visual. Imagine being able to see the groove! This will be Dugs follow up to his 2005 release emotional animal. Recognized as one of the most influential bass players in history and loved by musicians and fans alike, however this new record will embark a new era in music and in history. Due to his noticeable tones, grooves, and massive style this will surely become a new era for Dug. The Groove will hit soon and when it does hold on to your seats as the time will be to shake that groove, move that move, and Strum Some Up! 7. "Hey Would You Know"
9. "Haven&apos;t Been Here Before"
12. "Are You Gonna Come"
14. "Freak The Funk Out"